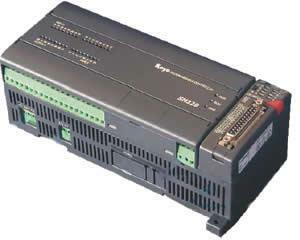 Compatible command system: It has the same command system as all KOYO S series PLCs. The programming device can be universal, the program resources can be transplanted; the level programming saves man-hours; the drum control command and the PID control function are more convenient for the user. Dual communication port function DL05 series PLC has two 232C communication ports, one communication port rate is fixed at 9600bps, can connect various programming devices, operate excuses, and can be used as CCM MODBUS communication sub-office; another port rate is variable, it It can also be used as the main office of CCM and MODBUS communication, and can realize the function of no protocol communication. Scalability: The DL05 has a slot for inserting an expansion module to expand the functions of the DL05 PLC, such as memory card/clock module, analog module, high-speed counting module, etc. PID function: With 4 channels of PID adjustment, with analog expansion module, up to 4 PID loop control can be realized. Mode switch for easy commissioning: DL05 has a three-state mode switch, STOP, TERM, RUN; STOP is forced stop, RUN is forced operation; only when it is in the TERM position, the operation of the programming device is allowed. 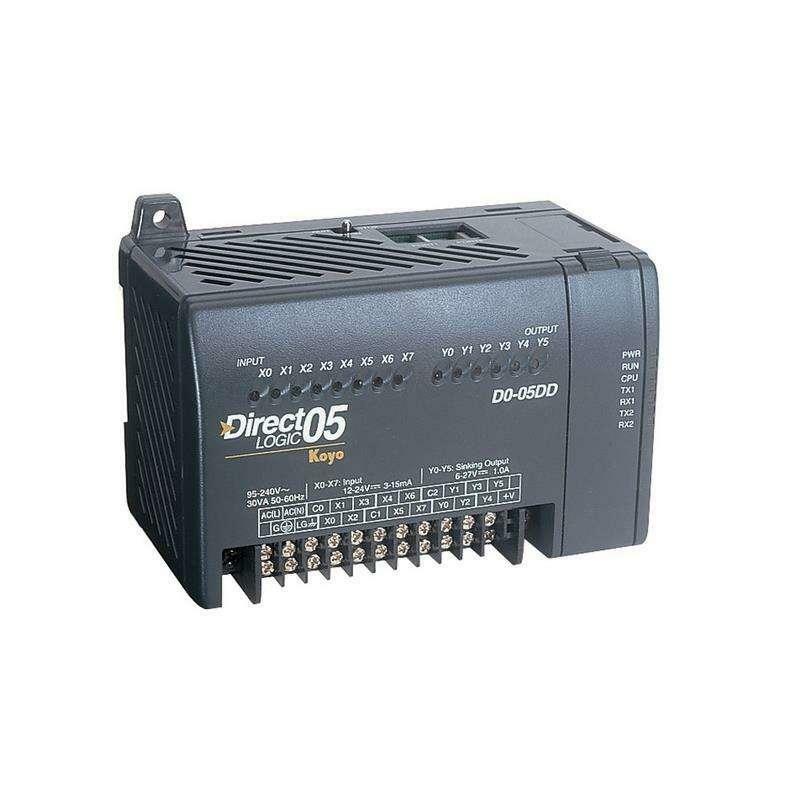 Detachable terminal block for easy connection and maintenance: The DL05's I/O terminal block is detachable as a whole, which is convenient for on-site commissioning and replacement. The DL05 micro PLC family includes eight different models. Each has eight inputs and six outputs in the base unit. The DL05 has one option module slot, which can be used to expand the I/O count, provide additional communications capability or add a real-time clock and battery back-up.